Breaking news: Science has gotten so advanced, we might be able to turn off severe allergies. This means that people with lethal allergies — think peanuts, bee stings, shellfish — could lead more stress-free lives. How incredible is that? In case you forgot, research has shown that women are more likely to have food allergies in general. So this news is especially exciting to us. According to Science Daily, an immunology research team at The University of Queensland has been working hard in this field. And recently, they were able to turn off the immune response that causes allergic reactions in animals. Right now, we only have short-term allergy treatments. And they aren’t always the most effective. 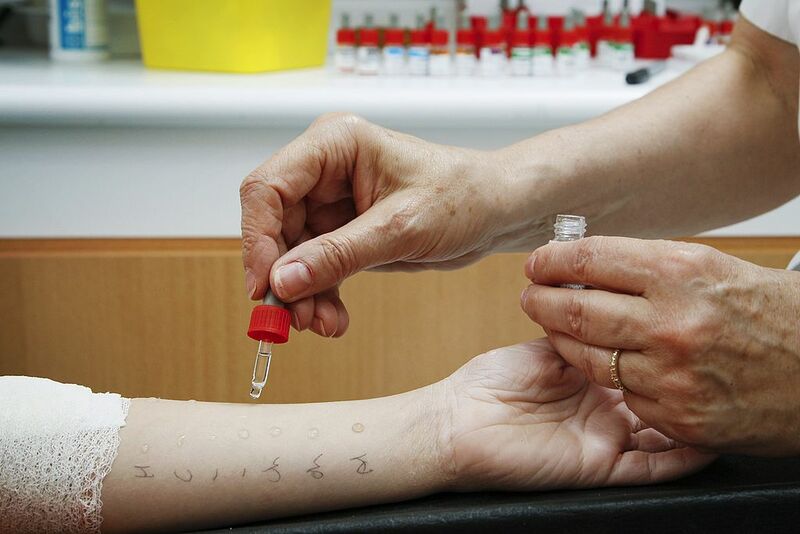 With this new research, scientists hope to be able to develop a single injected gene therapy for allergy and asthma sufferers. This would be HUGE. Associate Professor Ray Steptoe was in charge of the research team at UQ. Here’s how he breaks down the science. "When someone has an allergy or asthma flare-up, the symptoms they experience results from immune cells reacting to protein in the allergen. The challenge in asthma and allergies is that these immune cells, known as T-cells, develop a form of immune 'memory' and become very resistant to treatments. We have now been able 'wipe' the memory of these T-cells in animals with gene therapy, de-sensitizing the immune system so that it tolerates the protein." Messing with the immune system seems like it could have disastrous results. But there’s no need to fret. Professor Steptoe confirms that the therapy is “highly targeted.” That means it won’t affect your body’s other immune defenses, such as vaccinations. So, the gene therapy won’t mean you’re more susceptible to coming down with the flu if you’ve been vaccinated. Human trials are expected to begin in five to six years. If those are successful, allergy treatment could change dramatically, for the better. It’s amazing what science can do, right? Just think: A world without inhalers and EpiPens might not be too far off!